The Supreme Court has adjourned till January the hearing of a clutch of pleas challenging the Allahabad High Court’s 2010 judgment which ruled that the disputed land on the Ram Janmabhoomi-Babri Masjid site in Ayodhya be divided into three parts. The court said that the issue will come up before appropriate bench in January. No decision was taken on Monday on the date of hearing and the composition of the bench. On September 27, the Supreme Court declined to revisit the observations in its 1994 judgment that a mosque is not integral to Islam, clearing the way for hearing in the politically charged Ayodhya land dispute. In a majority verdict of 2:1, the apex court bench headed by former Chief Justice Dipak Misra said the Babri Masjid-Ram Janmabhoomi civil suit has to be decided on the basis of evidence and the previous verdict has no relevance to it. Justice Ashok Bhushan, who read out the judgment on behalf of the then Chief Justice of India and himself, said it has to find out the context in which the five-judge had delivered the 1994 judgment. However, Justice S Abdul Nazeer, in his lone dissenting judgment said whether a mosque is integral to Islam has to be decided considering belief of religion. The apex court had on September 27 said that a civil suit on the land dispute would be heard by a three-judge bench on October 29. The issue whether a mosque is integral to Islam had come up when the bench was hearing the appeals filed against Allahabad High Court’s 2010 judgment. The three-judge high court bench, in a majority ruling of 2:1, had ordered that the 2.77 acres of land be divided equally among three parties — the Sunni Waqf Board, the Nirmohi Akhara and Ram Lalla. 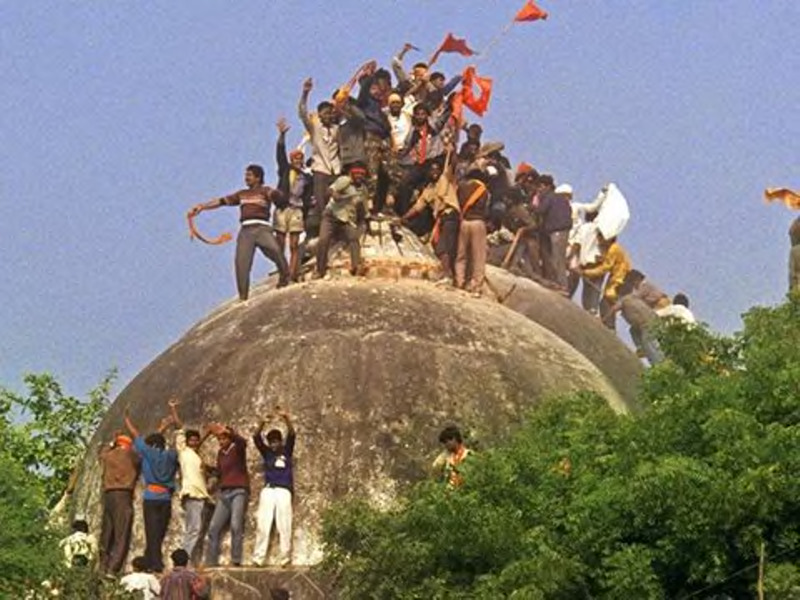 The 16th century Babri mosque was destroyed in 1992 after lakhs of karsewaks or Right-wing volunteers had demanded that it be brought down, in order to erect a temple to Lord Ram, who they said, had been born right there. The issue has been politically fraught ever since. The construction of the Ram temple was an important part of BJP’s manifesto ahead of the 2014 Lok Sabha elections and also the 2017 Uttar Pradesh Assembly elections – both of which it won.